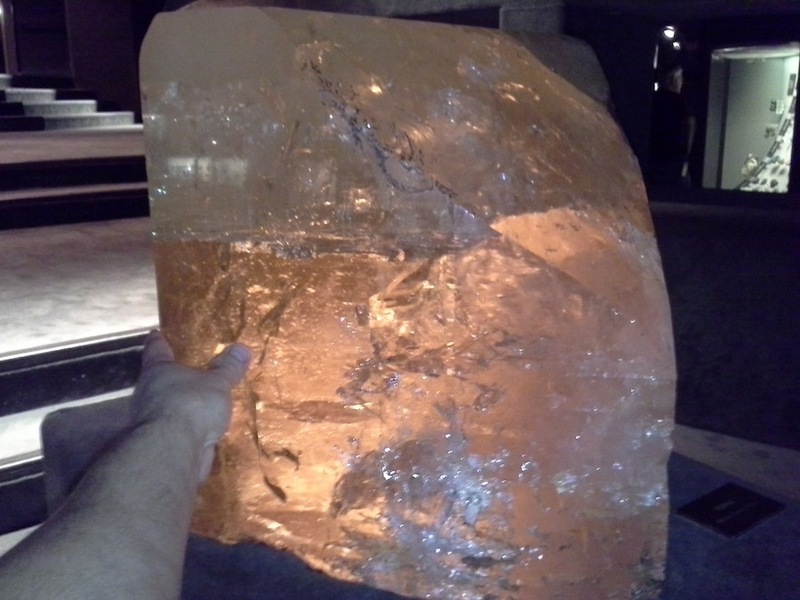 The enormous 200+ pound "Caplan" topaz crystal that will take your breath away. This particular piece is sharp, lustrous and lit up at the base, allowing the viewer to closely examine its limpid translucency featuring wispy veils and other beautiful internal details that easily draws us into the specimen. Even further, this amazing crystal sports a clean, modified termination with lots of extra pyramidal forms that can be tactilely explored for as long as you wish.